Some time between August and September there is a definite change in the air. The warm winds turn into crisp cold air and summer days turn into winter weekends. Fashion Week, Halloween, Bonfire Night, Christmas & New year are just around the corner and Summer dresses are swapped for Winter warmers. The smell as the first leaves fall to the ground. The warm tea in your hands as you stroll down the streets – everything about this time of year excites me. 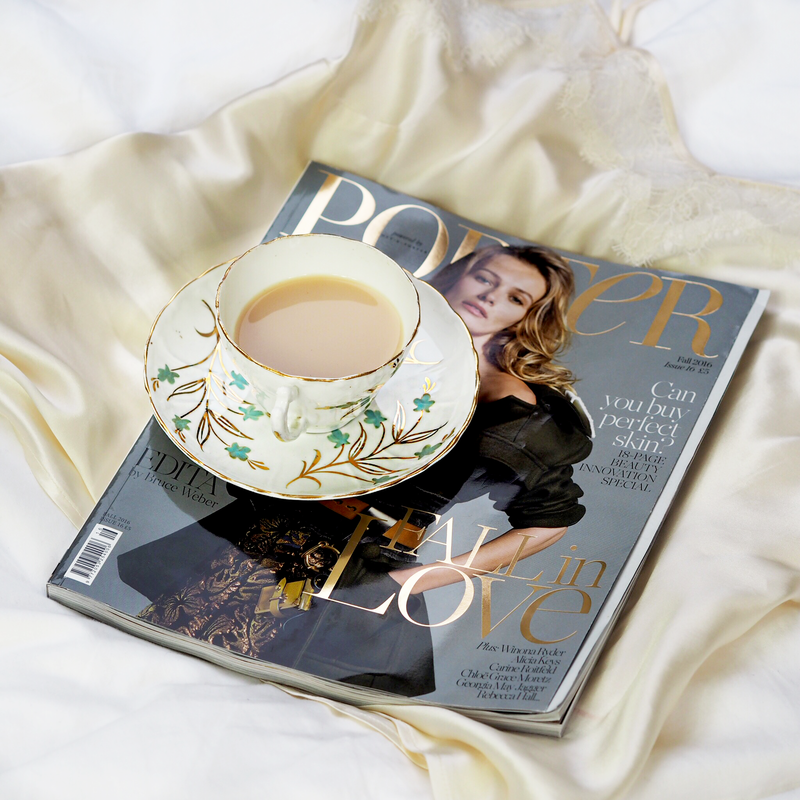 More importantly lazy weekends no longer make me feel guilty as they are a necessity in the colder months, making it the perfect excuse to lounge around all day reading magazines and drinking tea. Maybe it’s because for so many years September signified a new beginning as we embarked on a new school year, September for me still grasps on to that feeling. Fresh new insight, new motivation, new wardrobe. This Autumn I am dedicating to ‘me’ time. As many of you know I split my time between London and the countryside. 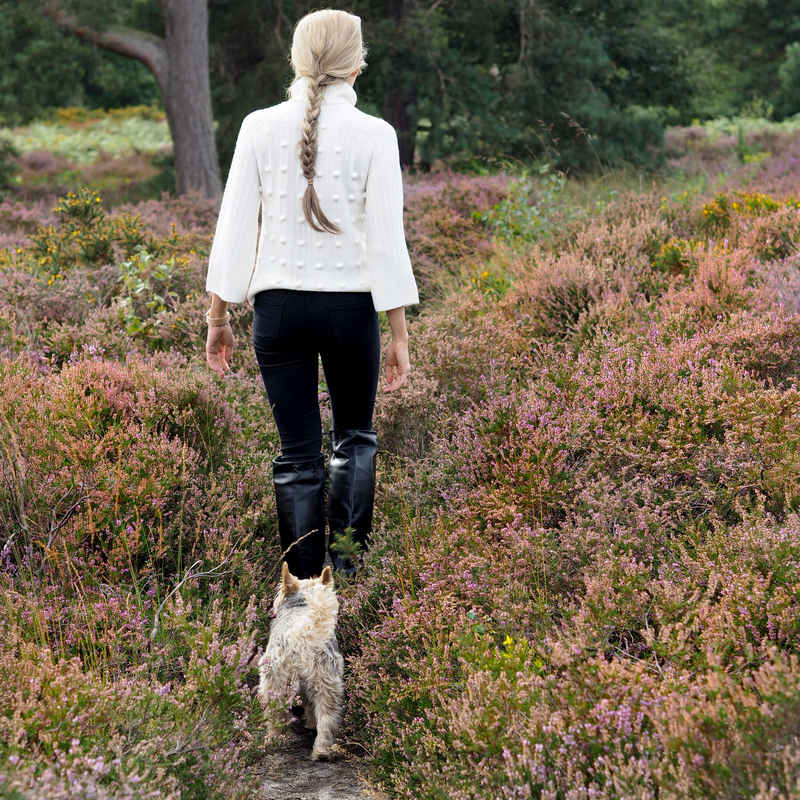 Each weekend consists of breathing fresh country air and walking new miles to gain perspective. “EMBRACE THE ELEMENTAL POWER OF THE REMOTE WILDS, WRAPPED IN THE HUG OF LUXURIOUS, OVERSIZED KNITS. IT’S TIME TO TAKE TO THE HILLS AND BE FREE…” – PORTER MAGAZINE. I’m currently obsessed with Alice Temperely’s Somerset Collection at John Lewis – it oozes British country life as if she had the woman’s comfort at the forefront of her mind whilst designing. Polar neck knits are a mix of classy and practical, allowing for a perfect temperament as the seasons transition. Silk pajamas are not only for the bedroom but as outerwear too as the pajama trends rolls out in full force.